Companies that follow a documented sales and marketing service level agreement (SLA) are 38% more likely to enjoy positive ROI from their efforts than those that do not. Effective SLAs create alignment and build accountability for all of the functions responsible for generating revenue. I’m often brought in to work with companies who have historically experienced significant growth, but are seeing a degradation of that growth rate. They’ve gotten frustrated as they’ve tried many things to reignite growth, only to see temporary results (if they see results at all). I start by conducting an assessment of their current approach and systems. One of the first things I ask about is how a lead progresses from interest through the pipeline and ultimately to revenue producing status. Right away I’m able to see a major cause of the problem. It quickly becomes clear that there is no clarity or methodology behind how an indication of interest evolves into a bona fide sales opportunity, and ultimately to a customer/client. While there may be defined pipeline stages, there is no clear discipline and definition that determines precisely where a prospect is. The problem with this is that it creates complexity, which is toxic to growing organizations. When there is no disciplined methodology there can be no alignment; and that means that the more success you have in your lead generation and sales efforts, the more complexity that is thrust upon everyone, making the job of growing even more difficult. This explains why organizations can’t sustain growth and why the bigger you get, the harder it is to continue to scale. By contrast, those organizations that clearly define the process and utilize a disciplined approach to manage their demand generation processes create alignment and manage the complexity that otherwise kills growth efforts. It creates leverage allowing companies to sustain growth. The reality is that the faster you grow, the easier it is to manage the process and growth becomes self-sustaining. It is for this reason that SLAs have such a prominent effect on business performance. A crucial part of an SLA is clearly defining the lifecycle a lead goes through on the buying journey. Creating clear definitions allows marketing and sales to work together in cultivating prospects further down the funnel. A lead is simply a name that has entered our database that we haven’t been able to sort to another status of our lifecycle. For example, someone who has subscribed to this blog but has only left an email address that prevents us from identifying what company they’re with would be in this category. Our goal with leads is to move them to another category as quickly as we can, “get ‘em up or get ‘em out” is our battle cry here. This is where we move leads that clearly don’t fit our profile and clearly don’t represent an opportunity for us. Students, companies that are clearly too small as well as companies that are too big are examples of leads that fall into our DQ’d bucket. A law of lead management is that you should always qualify the company, not the contact. It’s not at all unusual that the “wrong” person from a “right” company is the first to enter our database, typically by downloading something. We’re not ready to call this a MQL until we have at least confirmed who the “right” person is and gotten a sense of openness to engage in conversation. Even when the “right” person is the one to enter our database, we don’t believe that just because someone downloaded our middle funnel white paper that it means they want to engage in any type of conversation with us. Until we get that, we define the lead only as qualified. The goal here is to get engagement with this lead population. When the lead is the right person, our approach is very direct. When the lead is not the right person, we’re nurturing and reaching out to them with a primary goal of getting a strong introduction to the right person. This is the point where, for lack of a better word, a heavier set of qualification comes into play. It’s also where the definition builds upon itself going forward. For a lead to be classified as an MQL, we must know that we’re dealing with someone who has authority (the “a” in our sales qualified lead (SQL) definition). In addition to authority, we’re also digging deeper to ensure that there is a fit. Fit is an area that deepens as a lead moves through their lifecycle. At the qualified stage, we’re basically testing to ensure that a lead is not a total mismatch, here we’re testing for high probability. The last attribute of this stage is engagement. We’re looking for an openness to engage in an issue. This often means being open to a conversation – this is the key focus for high-value sales development reps – but depending upon what you’re selling and how you’re selling it, it doesn’t always have to be an actual conversation. One last point; we’re not necessarily looking for need or pain at this stage. Our marketing process is designed to deliver our commercial teaching point of view, which will educate them on the problem and build the need. Authority, fit and engagement are the three criteria of an MQL. 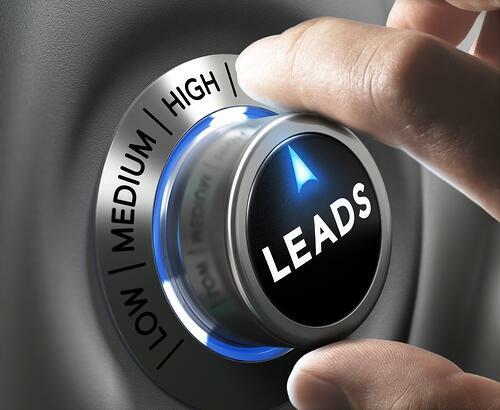 SQLs are often referred to as sales ready leads, and that’s a great description for them. An SQL is ready for a salesperson to take over and manage the process. Note that a SQL, or sales ready lead, is not a synonym for an order ready lead. It means that the lead has been properly positioned for your defined sales process to take hold. Authority – We want to be sure that we’re talking to the right person, capable of causing change. Need – At this stage, we need to be able to identify a primary need. Now this need is often a symptom of a deeper problem, and it’s the raw material for the sales team to demonstrate value. Understanding – We want to be sure that the lead has a basic understanding of our value proposition and the process we will follow. Fit – At this point, we want to be sure that the lead fits our target profile. Note that budget and timing are not part of our SQL definition. Consider that 48% of buyers, surveyed by DemandGen Report, said that a complex B2B purchase was initially unbudgeted, and that a further 14% said the budget was determined after soliciting multiple bids. This means that 62% of purchases were made without a budget in place. Additionally, a good sales process teaches the prospect more about their problem and more about the impact of not solving their problems. It’s not at all unusual that I begin a sales process with someone who has not allocated adequate resources for my solution, but as the process progressed, the case for more resources was made. Timing is also directly related to how someone is defining a problem. The best way to speed up a decision is to get your prospect to understand the total cost of their problem. The last lifecycle stage before becoming a customer is opportunity. This means that the lead has officially entered the sales pipeline. For an SQL to become an opportunity there must be agreement from the prospect that they will openly and willingly engage in the sales process you’ve developed (you do have a defined, value creative process, don’t you? ), and the salesperson makes the statement that this is the right time and the right company to pursue. When your lead lifecycle process is clearly defined, you can then create the protocols that align marketing’s actions with sales’ actions, increasing the likelihood of closing the business and shortening the sales cycle.